You’ve all heard the analogy that depression is like diabetes, a “chemical imbalance” in the brain. The chemical most often mentioned as imbalanced is a neurotransmitter called serotonin, which is hypothesized to be low in depressed people. Fortunately, like the diabetic, the depressed person can take a drug like Prozac that corrects this imbalance and raises serotonin to normal levels. The idea that low serotonin causes depression has been repeated like a mantra by public health authorities (see movie below for a nice example). The serotonin theory of depression is a good illustration that if you repeat something enough times, people will come to believe it. The widespread use of serotonergic drugs for treating depression and evidence for their efficacy has also greatly boosted the serotonin theory of depression (even in the face of evidence that the beneficial drug effects are relatively modest). But just as headaches are not caused by a lack of aspirin, the efficacy of serotonergic drugs are not a proof that depression is caused by a lack of serotonin. As it turns out, over the past few decades, neuroscientists have had difficulty supporting the core of the theory with a demonstration that serotonin was low in depressed people. Part of the problem is that it is very difficult to measure serotonin in the brain of a live human. Studies used a variety of different assay methods and researchers had difficulty obtaining any replicable results. In the meantime, new antidepressant drugs came on the market that had little pharmacological effect on serotonin but had similar efficacy as the SSRIs. This, at a minimum, suggested that the serotonin theory of depression was incomplete. Now recent data present even more serious problems for the low serotonin theory of depression. 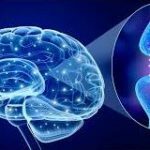 New findings that directly contradict the core of the theory: A paper in the flagship journal, Archives of General Psychiatry found evidence of increased serotonin activity in depressed persons. Furthermore, growing evidence suggests that it is an error to even talk about the brain having a single serotonin level. Based on work with rats and mice, neuroscientists are increasingly moving to the view that there are different populations of serotonin neurons that are each independently regulated. As a scientific venture, the theory that low serotonin causes depression appears to be on the verge of collapse. This is as it should be; the nature of science is ultimately to be self-correcting. Ideas must yield before evidence. I am less confident about the nature of public opinion. How many times more will the mantra of depression as diabetes (with Prozac starring as insulin) be repeated? Who will dispel the illusion that the smart scientists have firmly established that depression is caused by low serotonin? Make no mistake, it will be difficult to alter the dominant lay theory of depression. I offer this blog post as a humble harbinger of change. “You’ve all heard the analogy that depression is like diabetes, a “chemical imbalance” in the brain.” First of all, there is a huge issue with this sentence here. whoever claims that depression and diabetes are both chemical imbalances in the brain is a complete idiot because diabetes is a metabolic disease that has nothing to do with chemical balances in the brain. Diabetes involves the body lacking the ability to create any or enough insulin. Insulin is made in the pancreas and it is what allows the body to take in and store glucose and when there is not enough insulin in the body glucose levels in the blood can get dangerously high. The argument that you based your article around is completely invalid. You might want to look into the facts before you go around spewing off ridiculous stories.